Will you be traveling to Bradenton, FL during hurricane season? Hurricane season runs through the end of November, so if you are planning to vacation here during the next few months, here are some hurricane preparedness tips to keep in mind. If you don’t typically have travel insurance, it’s a vital part of hurricane preparedness when you’re vacationing to Bradenton this summer. Travel insurance is great because most plans will cover the cancellation or delay of your trip, lost baggage, flight insurance, medical coverage and most other trip interruptions. Consult your travel insurance company to see if they have hurricane travel insurance as well. Be mindful of the local weather reports. 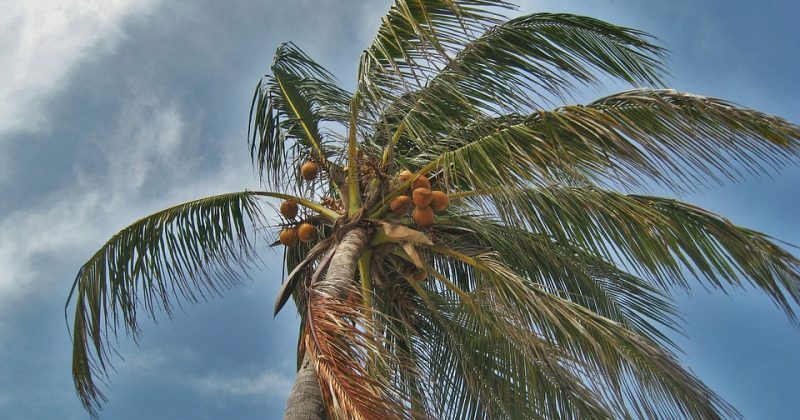 When you’re days out from your vacation to Bradenton, FL, make sure that you’re being mindful of the local weather reports so that you can be aware of any approaching storms. Weather apps and local news sites can be very helpful when trying to prepare for your vacation and for hurricane preparedness. Consult your rental office for their hurricane policies before your trip. Before you even confirm your hotel room or other rental, reach out to the rental office or host to find out their policies for hurricane cancellations. In the event that you either have to delay or cancel your trip altogether, you’ll have much more peace of mind knowing this information ahead of time. Don’t forget to pack hurricane season essentials. Should you find yourself in a hurricane or in a bad storm, in general, and end up losing power, making sure you have the essentials will get you one step closer to hurricane preparedness. Essentials should include flashlights, external batteries (to charge cell phones), bottled water, copies of your travel documents (flight information, IDs, etc. ), nonperishable food, can-opener for these items, first aid kit, extra batteries, as well as moist towelettes and plastic bags for personal sanitation use. Even if you forget to pack these items, you can always visit a local convenience store when you arrive here in Bradenton. Did you know that hurricane seasons runs through Nov. 30? 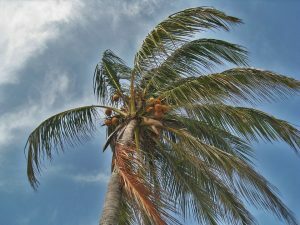 Even if you don’t live in the hurricane hot spots like Orlando or Jacksonville, it’s always good to keep in mind the precautions for hurricane season if you plan to vacation there. Here are six tips to make sure you’re ready for hurricane season. 1. Plan ahead for emergencies. When you’re in the thick of hurricane preparation, it can be hard to gather your thoughts for what to do next. You’ll need emergency supplies for you and your family, insurance will need to be ready in case of an emergency, and you must have a plan for your vehicles in the event that you need to evacuate. 2. Determine your hurricane season risk. How will your home stand during flooding or wind? Are there trees leaning toward your home? Flooding is known to cause the most damage to your home, and this is especially a greater risk during hurricane season. You can see how your home rates for flood risk with these helpful maps. 3. Make sure you have insurance coverage. Insurance coverage can often take up to 30 days to take effect, so it’s important to make sure you are covered now! From special deductibles to private homeowners insurance, there are several varieties of coverage that you can look into for your home. Flood insurance is a separate type of insurance that must be purchased outside of your homeowners insurance. 4. Locate your evacuation zone. Investigate whether or not your home or vacation home is located in an evacuation zone. Evacuation zones are essentially any areas that can be affected by flooding. 5. Form your hurricane emergency plan. Hurricane season emergency plans are crucial to ensure the safety of you and your family. From knowing where the emergency supplies are to where your family will meet in the event that you are dispersed, there are several scenarios that must be discussed just in case. Your emergency plan might include where you will evacuate to and the basic procedures for securing your home. These procedures might include boarding the windows, moving patio furniture indoors, gathering essential supplies and knowing the plan for caring for your pets. 6. Be prepared for evacuation. There are a few steps you can take to ensure a smoother evacuation process. First, make sure you have a full tank of gas. In the event that there’s a power outage, you might be unable to fill your car’s tank. Pack one car that you and your family will be using. Since congestion is expected on the road, taking one car will ensure that you can exit the area together and safely.